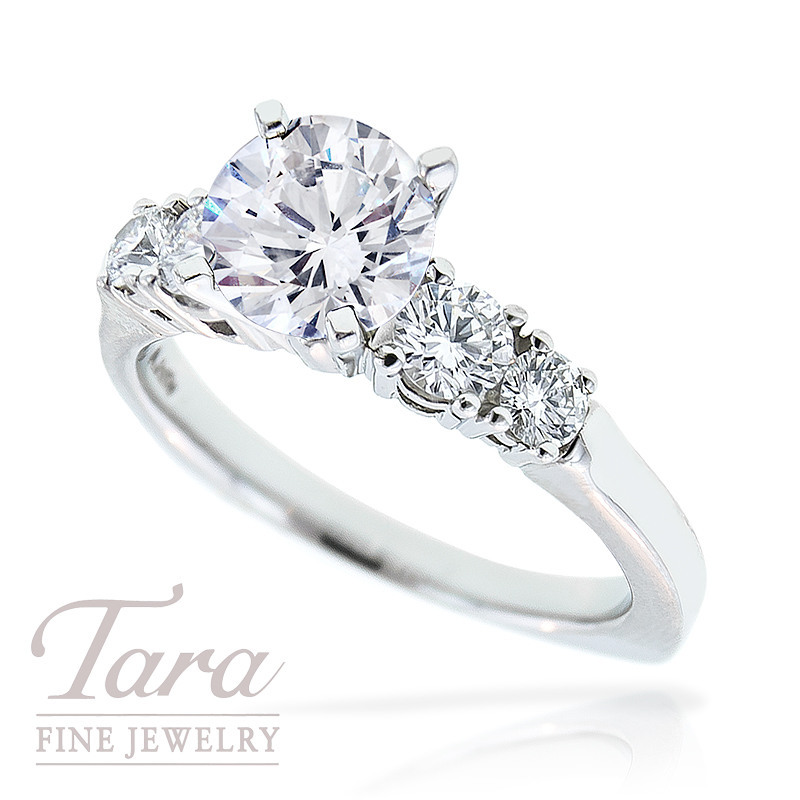 A. Jaffe's timeless and elegant style is displayed in the craftsmanship of this beautiful platinum semi mount. As an industry leader in bridal jewelry, A. Jaffe understands the importance of creating classic designs that truly symbolize your love and devotion. Fashioned in the strength of shining platinum, this A. Jaffe signature design features four round brilliant side stones, .60CT TDW, that perfectly magnify the brillance of your hand-selected center stone. See the full A. Jaffe bridal collection, along with top designers from across the globe, at Tara Fine Jewelry Company, Atlanta's premier full service jeweler. Home to gorgeous designer jewelry as well as luxury Swiss watches by Rolex, Omega, Tag Heuer and Breitling, Tara Fine Jewelry Company is your choice for the finest in quality, service and selection.